A row of men in native clothing sit astride horses in the background. 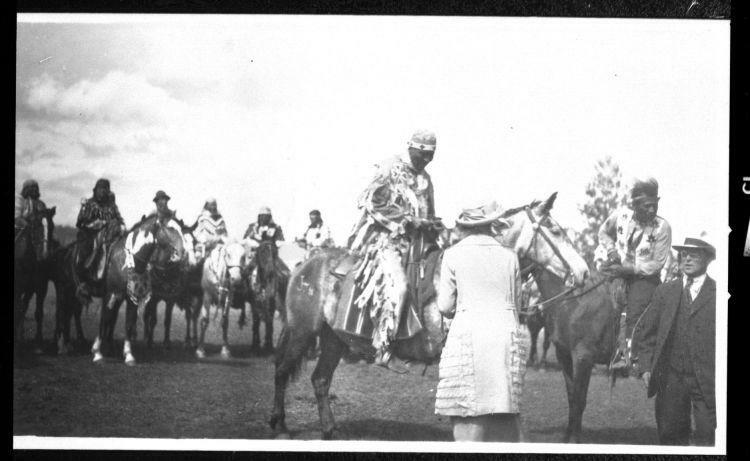 Two other men, also in native clothing sit on horseback in front of the others. The two are interacting with a woman in western clothing who faces away from the camera. A man in western clothing faces the camera as well. Top of copy print is over exposed.